Newly arrived in New Fiddleham, New England, 1892, and in need of a job, Abigail Rook meets R. F. Jackaby, an investigator of the unexplained with a keen eye for the extraordinary – including the ability to see supernatural beings. Abigail has a gift for noticing ordinary but important details, which makes her perfect for the position of Jackaby’s assistant. On her first day, Abigail finds herself in the midst of a thrilling case: A serial killer is on the loose. The police are convinced it’s an ordinary villain, but Jackaby is certain it’s a nonhuman creature, whose existence the police – with the exception of a handsome young detective named Charlie Cane – deny. “I’ve got it,” I announced. “You’re a detective, aren’t you? The man’s eyes stopped darting and locked with mine again. I knew I was onto him this time. “Yes, you’re like whatshisname, aren’t you? The one who consults for Scotland Yard in those stories, right? So, what was it? Let me guess, you smelled salt water on my coat, and I’ve got some peculiar shade of clay caked on my dress, or something like that? And that is exactly what makes this book work. Jackaby is a story that knows exactly what it is, and just has fun with the tried-and-true elements we all know and love – all of which have stuck around for very good reason. So while this book never entirely manages to escape the long shadow of its own tropes, it does deploy them effectively, and delivers an enjoyably diverting read. However, the Doctor Who comparison is, I think, pushing it. Down, marketing spiel. But as for R.F. Jackaby himself, while he is a detective with his own particular brand of signature hat – a hat even uglier than that famous deerstalker – he still never quite manages to cut his own figure. Because though Jackaby is charming in his own right – enough to make believable that Abigail so readily throws her lot in with him (in an entirely non-romantic way) – well, there is no denying the familiarity of his profile, i.e. that of the oh-so-superior sleuth. And though the hook of this particular detective is that he specializes in the paranormal, which brings a fun level of magical mayhem to the proceedings – as best demonstrated by the fact that his former assistant is currently waddling about as waterfowl – by and large, those differences remain at surface level, without ever really altering the essence of the character, which, let’s face it, is a character we’ve all seen many, many times before. So while there are plenty of reasons to have fun, watching Jackaby careen his way through this story, at the end of the day I still found that Jackaby just didn’t manage to make a terribly indelible impression on my mind. He was able and sturdy, yes, so far as a main character goes, but never really strikingly different or original. And that brought a well-worn, comfortable familiarity to it all – which isn’t necessarily a bad thing, but it isn’t necessarily a good thing either. And of course, we cannot forget Watson – or in this case, Abigail, who is both the narrator and more relatable half of this particular sleuthing pair. And in fact I really, really enjoyed how Abigail brought a delightful agency to her role as sidekick, as she arrives on-page as a girl actively seeking a bit of adventure in her life – and I also really liked how Abigail was competent and intelligent in her own right, and quickly able to make herself a useful partner to Jackaby, in a delightfully non-bumbling way. But once again, much as I liked Abigail for her determination and her steadiness, there was also something just a tad…bland, about her. She was perfectly likable, to be sure, but at the end of the day, there was just a touch of something missing – a lack of something that kept her from becoming a truly memorable character. And so, with Abigail as with Jackaby, while I liked all the pieces, neither one ever quite managed to be a whole greater than the sum of their parts. Then as for the mystery itself, it was interesting and entertaining, but also rather heavily telegraphed from early on, I’m afraid – and as such not hard to get ahead of. But still the villain is enjoyably creepy, and the paranormal dangers bring a fun menace to the proceedings, such that all in all, I really did have fun reading this book – I just think it needed perhaps a dash more seasoning. 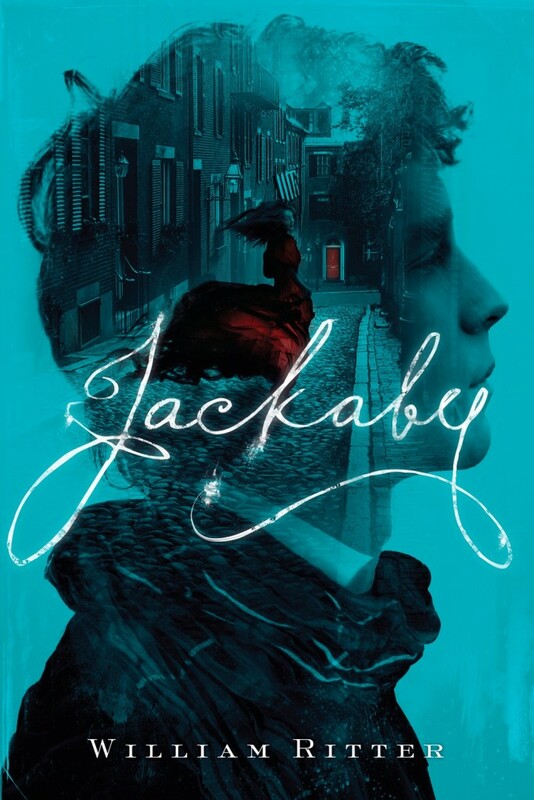 But even so, Jackaby is without doubt a solid and entertaining debut, and as such, I find myself perfectly willing to sign on for the next Jackaby and Abigail adventure. With a macabre crime investigation, witty banter, unexpected humor, and distinctly likeable characters, Jackaby won me over from the first page to the very last. Toss together an alternate 19th-century New England city, a strong tradition of Sherlockian pastiche, and one seriously ugly hat, and this lighthearted and assured debut emerges, all action and quirk.